Global gold demand rose 2% in 2016 to reach 4,309 tonnes (t), the highest level since 2013, according to the World Gold Council’s latest Gold Demand Trends report. 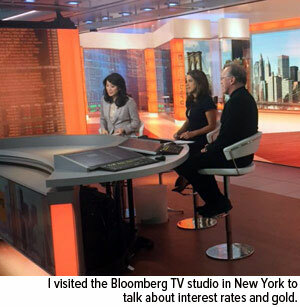 This was largely driven by inflows into gold-backed Exchange Traded Funds (ETFs) of 532t, the second-highest year on record, as investors responded to concerns over future monetary policy, geopolitical uncertainty and negative interest rates. Continued global economic and political uncertainty, most notably Brexit, the US election and currency weakness in China, helped to boost overall investment demand by 70%, to a four-year high of 1,561t. The price dip in November led to a strong recovery in the bar and coin market in the final quarter of 2016, although this didn’t offset weak demand in the first three quarters; annual demand reached 1,029t, down 2% year-on-year. While overall investment demand rose sharply, it was counterbalanced by declines in both jewellery, a 15% fall in 2016 to 2,042t, and central bank purchases. Central banks faced a challenging backdrop, with increased pressure on foreign exchange reserves resulting in demand falling by 33% to 384t for the year. 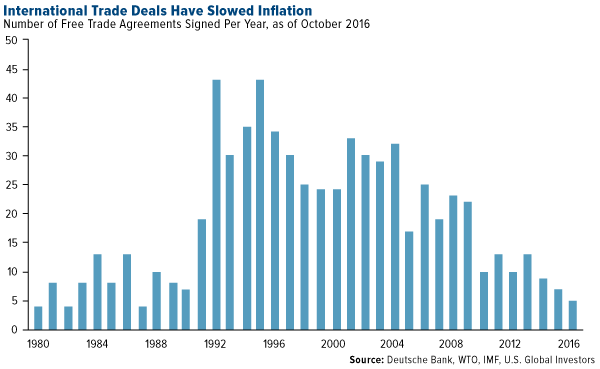 Despite this, 2016 was the seventh consecutive year of net purchases by central banks. In spite of resilient consumer demand in the fourth quarter of 2016, the two leading gold markets, India and China, both experienced a drop in consumer buying in 2016, falling 21% and 7% respectively. In China, jewellery demand was dampened due to a high gold price throughout much of the year, coupled with constrained levels of supply in Q4, owing to a tightening of currency controls in the country. Indian demand also faced a raft of challenges throughout the year, including regulatory changes, culminating in the surprise demonetisation policy, which severely hampered demand in both the jewellery and retail investment sectors. Total supply reached 4,571t in 2016, an increase of 5% compared with 2015. Growth in the sector was supported by net producer hedging, which doubled in 2016, as gold producers saw an opportunity to secure cashflow at higher prices. It was also supported by high levels of recycling in Europe and the Middle East, driven by weak currencies and a high gold price. Mine production remained virtually unchanged from 2015 as a result of industry cost-cutting schemes, however, higher gold prices and lower costs have seen a renewed interest in exploration and increased project development is likely in the years ahead. Total supply grew by 5% to 4,571t this year from 4,363t during 2015. This was largely driven by recycling, which increased 17% to 1,309t from 1,117t in 2015. Total supply fell by 4% to 1,036t this quarter from 1,081t during Q4 2015. Recycling increased by 5% to 250t during the fourth quarter, from 239t during Q4 last year. The Gold Demand Trends Full Year 2016 report, which includes comprehensive data provided by Metals Focus, can be viewed at http://www.gold.org/supply-and-demand/gold-demand-trends and on our iOS and Android apps. Gold Demand Trends data can also be explored using our interactive charting tool http://www.gold.org/supply-and-demand/interactive-gold-market-charting. 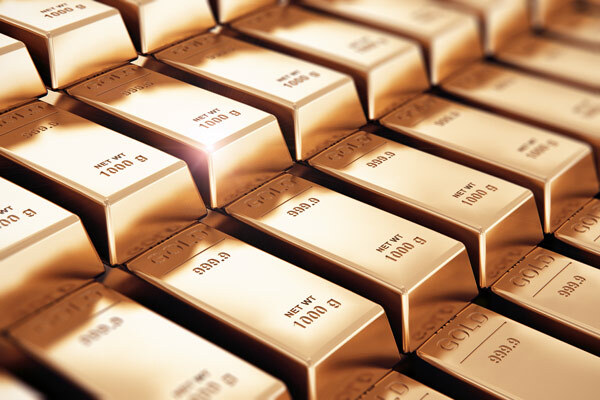 There is a continuing argument over whether the gold price is manipulated and we feel that it is – along with virtually every other market out there – by institutions with sufficient funds to exert a degree of control. That seems to be an integral part of the modern-day investment sector, whether ethical or not. 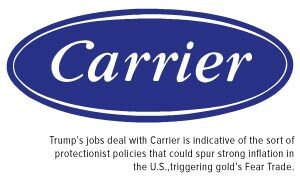 But is gold a special case? Or is silver? Investors in these precious metals certainly believe so and we feel there is sufficient evidence out there to say definitely yes – at least from time to time when for the powers that be things start to be getting out of hand as they see it. Why should gold in particular be a special case? In many peoples’ eyes gold has been the ultimate form of money and indicator of wealth for centuries and since the world entered the total fiat currency era after President Nixon closed the gold window in 1971, before which the world’s global reserve currency was backed by gold, many still see gold as the ultimate bellwether as an indicator of the true strength of these currencies and of the dollar in particular. Control the bellwether and you control the herd! 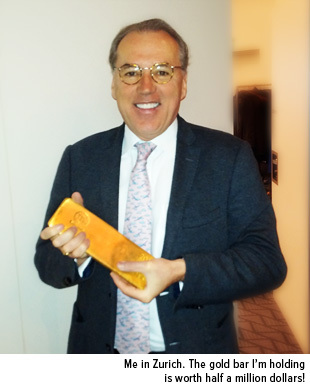 The Gold Anti Trust Action Committee (GATA) has preached gold price suppression, implemented by the major central banks (the U.S. Fed in particular) with government support allied with the monetary power of the bullion banks to do so and has been very successful in procuring various government documents, memos and emails which would support their case. This documentation recognises that at various points in time gold has most certainly been on the agenda and needs to be controlled with recognition by the financial elite that the gold price can pose a threat to their economic management and the overall picture they are tryuing to present to the people. Couple this with ongoing media propaganda downplaying gold’s power as an investment and such intervention can probably be kept to a minimum with investors and markets doing much of their dirty work for them most of the time. But not all of the time! Every now and then the gold price threatens to get out of control and more drastic measures are needed to knock it back. Hence the flash crashes when huge futures transactions, often when major markets are mostly closed, are implemented with the seemingly intended purpose to knock prices sufficiently to trigger stop-loss computer trading and thus drive the price down further. these are a relatively recent phenomenon perhaps exemplified – one might say trialled – in the much smaller silver market back in April 2011 when the silver price was soaring up close to $50 an ounce. While silver may no longer be truly a monetary metal it still has monetary correlations in the eyes of many and while the silver price tends to move broadly in concert with gold, but with greater extremes, there would have been the fear that in this case the tail could be wagging the dog and if the silver price was allowed to continue its upwards path it could drag gold along with it. But while the silver price was successfully knocked back, gold managed to continue on its own upwards path for another 5 months and in August/September 2011 gold fever was in full swing and it too looked to be taking off out of control. Cue another huge flash crash and the amount of capital at risk in the futures markets to implement this might be seen as exceptional with the theory that this was put in place by the bullion banks with central banks and government support. True only circumstantial evidence here, but the numbers suggested something hugely more than any normal trading activity. Once this was seen to be successful, so the theory goes, almost every time some piece of government data, or world news, seen as potentially strongly gold positive has been released there has been an almost instantaneous similar, but smaller, flash crash implemented through big futures transactions – always seemingly designed to take the price down to stop-loss selling levels. 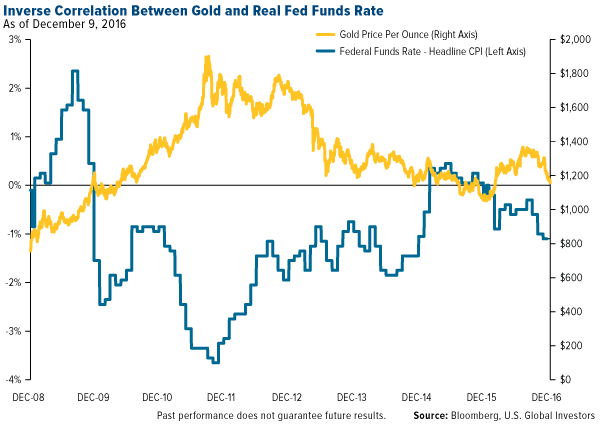 Coupled with a Fed easing programme designed to boost the general stock markets these have turned investor sentiment away from gold very successfully and the price has been drifting downwards. 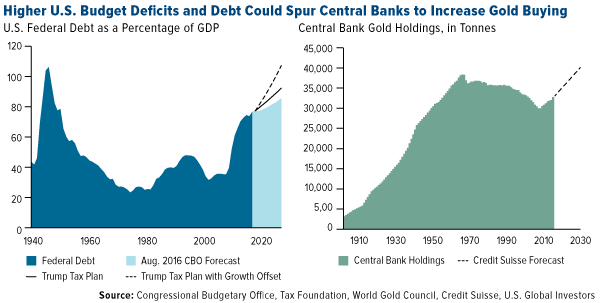 So what next for gold? The gold investment fraternity will be hoping that the huge gold flows from West to East and the likely prospect of China eventually wresting control of gold benchmark price setting from London will reduce the power of COMEX futures market dominated price manipulation. But China itself may then well set its own price manipulation process in place – it certainly has the financial power to do so -although the agenda and price direction may be different! We shall see. For more on this subject and more on what’s been happening in the silver market, readers should take a look at my other recent article on this subject on Mineweb – See: Gold price manipulation: Who really calls the tune? The Chinese Year of the Ram (or sheep or goat depending on which translation one uses) will kick off at the end of this month, but for now it looks as if 2015 will be the Year of the Central Banks. I spend a lot of time talking about gold, oil and emerging markets, and it’s important to recognize what drives these asset classes’ performance. Government and fiscal policy often have much to do with it. But in the past three months, we’ve seen central banks take center stage to engage in a new currency war: a race to the bottom of the exchange rate in an attempt to weaken their own currencies and undercut competitor nations. Indeed, amid rock-bottom oil prices, deflation fears and slowing growth, policymakers from every corner of the globe are enacting some sort of monetary easing program. 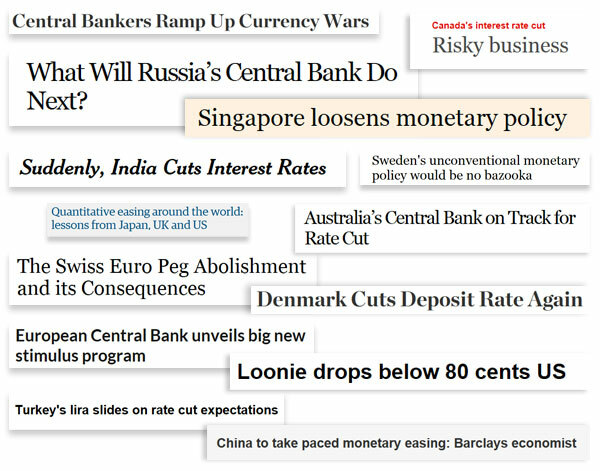 Last month alone, 14 countries cut rates and loosened borrowing standards, the most recent one being Russia. A weak currency makes export prices more competitive and can help give inflation a boost, among other benefits. “The U.S. seems to be the only country right now that doesn’t mind having a strong currency,” says John Derrick, Director of Research here at U.S. Global Investors. Since July, major currencies have fallen more than 15 percent against the greenback. Two weeks ago, Switzerland’s central bank surprised markets by unpegging the Swiss franc from the euro in an attempt to protect its currency, known as a safe haven, against a sliding European bill. Its 10-year bond yield then retreated into negative territory, meaning investors are essentially paying the government to lend it money. Gold is money. And whenever there’s negative real interest rates, gold in those currencies start to rise. Whenever interest rates are positive, and the government will pay you more than inflation, then gold falls in that country’s currency. Last year, only the U.S. dollar had positive real rates of return. All the other countries had negative real rates of return, so gold performed exceptionally well. Other countries whose central banks have enacted monetary easing are Canada, India, Turkey, Denmark and Singapore, not to mention the European Central Bank (ECB), which recently unveiled a much-needed trillion-dollar stimulus package. A recent BCA Research report forecasts that as a result of quantitative easing (QE), a weak euro and low oil prices, the eurozone should grow “by about 2 percentage points over the next two years, taking growth from the current level of 1 percent to around 3 percent. This is well above the range of any mainstream forecast.” The report continues: “[European] banks, in particular, are likely to outperform, as they will be the direct beneficiaries of rising credit demand, falling default rates and the ECB’s efforts to reflate asset prices.” This bodes well for our Emerging Europe Fund (EUROX),which is overweight financials. Speaking of oil, the current average price of a gallon of gas, according to AAA’s Daily Fuel Gauge Report, is $2.05. But in the UK, where I visited last week, it’s over $6. That’s actually down from $9 in June. You can see why Brits don’t drive trucks and SUVs. But that’s the power of currencies. 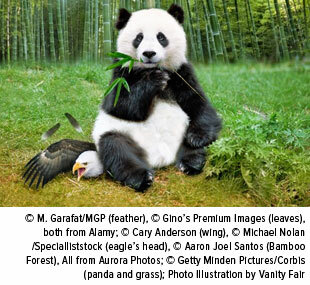 As illustrated by the clever image of a Chinese panda crushing an American eagle (above), China’s economy surpassed our own late last year, based on purchasing-power parity (PPP). 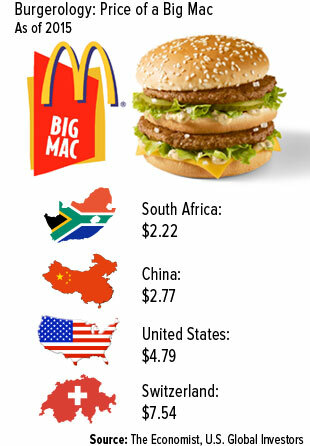 An easier way to comprehend PPP is by using The Economist’s Big Mac Index, a “lighthearted guide to whether currencies are at their ‘correct’ level.” The index takes into account the price of McDonald’s signature sandwich in several countries and compares it to the price of one here in the U.S. to determine whether those currencies are undervalued or overvalued. A Big Mac in China, for instance, costs $2.77, suggesting the yuan is undervalued by 42 percent. The same burger in Switzerland will set you back $7.54, making the franc overvalued by 57 percent. From what we know, the Federal Reserve is the only central bank in the world that’s considering raising rates sometime this year, having ended its own QE program in October. Following Fed Chair Janet Yellen’s announcement last Wednesday, the bond market rallied, pushing the 10-year yield to a 20-month low. To those who listened in on our last webcast, “Bad News Is Good News: A Contrarian Case for Commodities,” we hope you enjoyed it and received some good, actionable insight. If you weren’t able to join us, you can watch the webcast at your convenience on demand. Our next webcast is coming up February 18 and will focus on emerging markets, China in particular. We hope you’ll join us! We’ll be sharing a registration link soon. Please consider carefully a fund’s investment objectives, risks, charges and expenses. For this and other important information, obtain a fund prospectus by visiting http://www.usfunds.com or by calling 1-800-US-FUNDS (1-800-873-8637). Read it carefully before investing. Distributed by U.S. Global Brokerage, Inc.